T-Mobile has been working to help hurricane recovery in Puerto Rico by sending engineers and equipment to the island and through its #HR4HR effort. Today T-Mo revealed another way that it’s working to help people in Puerto Rico following Hurricane Maria. T-Mobile CTO Neville Ray has revealed that T-Mo is working with Project Loon to help get people connected. Project Loon is part of X, a group within Alphabet that works on “Moonshot” programs. 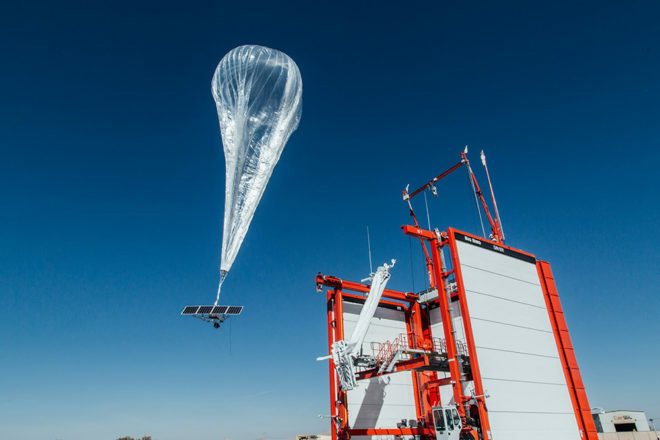 Project Loon uses balloons that float in the stratosphere to get limited LTE-based data and texting services to people that are in hard to reach areas without connectivity. T-Mobile’s partnership with Project Loon is now live. Ray says that T-Mobile is also working with Vanu to roll out self-contained portable cellular network units to get voice, data, and text service out to those that need it. I spoke to someone whom T-Mobile sent to Puerto Rico on a NOKIA contract about four weeks ago. He said there’s no electrical power available. While this press release is good for Neville Ray, and his outsourced team, it’s also a perfect example of T-Mobile’s un-canny capability to troll the news headlines. Let’s give Andrew Christou a round of applause. He said there’s no electrical power available. No electrical power available? Sure, 30.50% is low, but it’s definitely not 0%. The same website states that 1,127 of the total 2,648 cell sites on the island are operational. That equates to 42.56%. While this press release is good for Neville Ray, and his outsourced team, it’s also a perfect example of T-Mobile’s un-canny capability to troll the news headlines. Let’s give Andrew Christou a round of applause. I wasn’t aware that Project Loon requires a fully functional power grid to be operational. Are the balloons somehow tethered via an electrical connection? Still seems like a silly idea, since balloons float away, and clump up. You would need tons of these to work. How long can one keep a weather balloon in the proximity of Puerto Rico in 100mph winds? An hour? If you read the link provided in this article, you’ll see that this is a temporary solution and not meant to be used during a hurricane. My objection has to do with use during normal weather. Where weather balloons fly, normal wind speeds of 150mph are common. Unless the balloons are tethered to the ground. I don’t see how it would work.